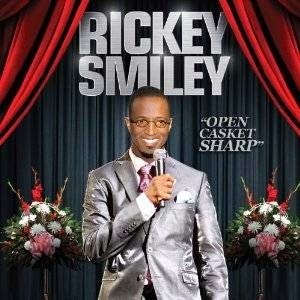 TV One Cancels "The Rickey Smiley Show"
The "Rickey Smiley Show" made it's debut to TV One in September 2012. After three season the show has been cancelled along with "R&B Divas: Atlanta". The first season of "The Rickey Smiley Show" made history with 900,000 viewers which caused the show to be renewed for a second season. Unfortunately, after numbers dropped tremendously in season two and in season three the show is now obsolete. TV One also cancelled "R&B Divas: Atlanta" featuring Monifah, Syleena Johnson, Keke Wyatt, Angie Stone, Kameelah Williams of 702 and La Tavia Roberson after three seasons. The show's cancellation came after Angie, La Tavia and Keke who is one of the original cast mates declined to return to the show. Syleena, Monifah and Kameelah agreed to come back but it wouldn't be a show with just three divas! Faith Evans, Nicci Gilbert and LaTocha Scott were also apart of the "R&B Divas: Atlanta".